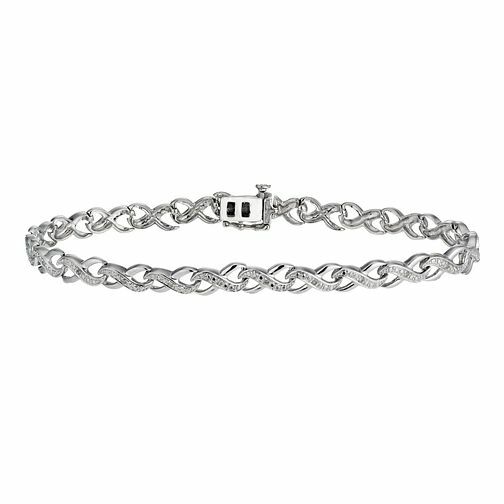 This elegant polished silver and diamond dappled kiss collection bracelet is perfect to wear day or night, making it the ideal gift for the one you love. Kiss Collection Silver And Diamond Bracelet is rated 5.0 out of 5 by 1. Rated 5 out of 5 by Anonymous from Eye catching This bracelet is stunning and of high quality. Sparkles lovely when it catches the light. Stunning!